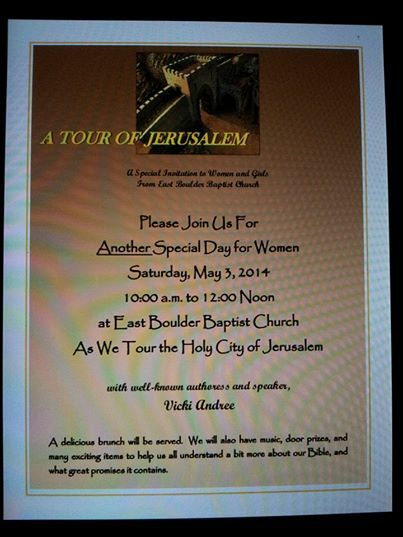 May 3, 2014, I am honored to speak at “A Special Day for Women” brunch at East Boulder Baptist Church. I will be taking the women on a tour of Jerusalem, the city of God. We will discuss the importance of that great city in ancient times, as well as in the present. The world has changed over the centuries, but Jerusalem is still the center of the world. Do you wonder about the future? Keep your eyes on Jerusalem. The Billings Farm and Museum is a fun place to visit. 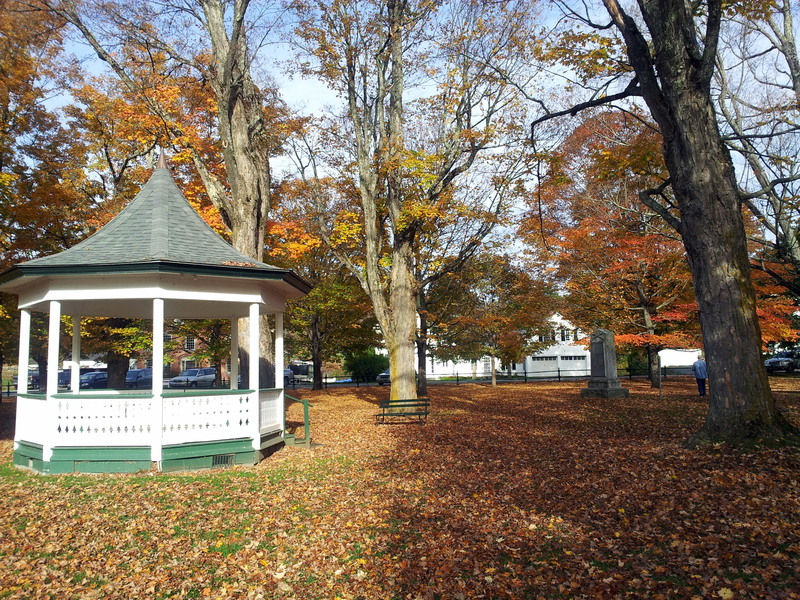 They offer tours of an 1890 farmhouse, creamery, exhibits, and a working farm. You can also watch a short film called “A Place In The Land”. If you are planning a vacation this summer, the Billings Farm is something to consider. Billings Farm & Museum, gateway to Vermont’s rural heritage, will open for its 32nd season on Thursday, May 1, 2014, featuring horse-drawn wagon rides, free ice cream, and farm programs, in addition to the opening dairy farm, restored farmhouse and farm life exhibits. The Farm & Museum will be open daily through October 31 from 10:00 a.m. to 5:00 p.m., every weekend, November – February and Christmas and Presidents’ weeks from 10:00 a.m. to 4:00 p.m.
Billings Farm is a premiere Jersey dairy farm that continues a 143-year tradition of agricultural excellence and offers farm programs and historical exhibits that explore Vermont’s rural heritage and values. Click here to learn more. I love books. There is nothing like a good story and my favorite yummy cup of brew to make my day complete. The publishing world has changed so much over the last few decades. Electronic books are a welcome addition to the reader. It is very convenient to carry around a Kindle or Nook, especially when traveling. All of my published works are available in electronic format. They are sold on Amazon and Barnes and Noble online. Click here for more information. Lyza’s billionaire lifestyle leaves no room for religion. She enjoys a meaningless jet-setting existence, keeping busy with L.L. Lane Unlimited, her father’s successful conglomerate, and her mother’s “Save the Orchids” campaign. Little does Lyza know that her lifelong employee constantly prays for her salvation. Be encouraged as Cook’s humble prayers and service throughout the story illuminate God as He works out His plan in Lyza’s life. Lyza’s Story the Kindle edition is on sale now on Amazon. After you purchase the book, you can add the professional narration option for a special price of $1.99. Sugarbush Farm is a beautiful place to visit. One can sample 14 types of cheeses produced onsite and purchase maple syrup. Free tours are given of the maple syrup house and the workroom where the cheeses are finished. There is a gift shop, nature trail, and animals to pet. You can visit the farm chapel and even get married there. It is fun to look around the gift shop as well. If you are planning a trip or are in the area, it is worth the stop. Sugarbush Farm is a 550 acre hillside farm located in central Vermont. The Luces are the second, third and fourth generations to live on this land. Jack and Marion Ayres bought the farm in 1945 with a dream to make a go of country living. They were the first folks in Vermont to start packaging cheese in waxed bars so they would travel well without refrigeration. By 1975 the Boston Globe wrote about Sugarbush Farm “At the end of a scenic Vermont road lies a Cheese Lovers paradise.” In 1995 the American Cheese Society awarded Sugarbush Farm a Blue ribbon for the best smoked cheese in the country. Today the farm is operated by Betsy, the Ayres’s daughter, her husband Larry and their sons Ralph and Jeff. Its the Luce family’s goal to keep the farm a working, active operation. The future looks bright for the fourth generation with 7 grandchildren learning good working habits on the farm. Click here to learn more. The Vermont Country Store has been sending me catalogues for over twenty years. Every once and a while I order something. Not often enough to rate so much attention, but I have to admit that their catalogues are fun to peruse. When our tour bus pulled up to the Vermont Country Store I overcame my slightly sarcastic attitude (we’re stopping here??) and actually enjoyed shopping the store. David thought this old pickup was pretty neat and asked me to take his picture. I asked him to pose on the hood as an antique hood ornament, but he refused. 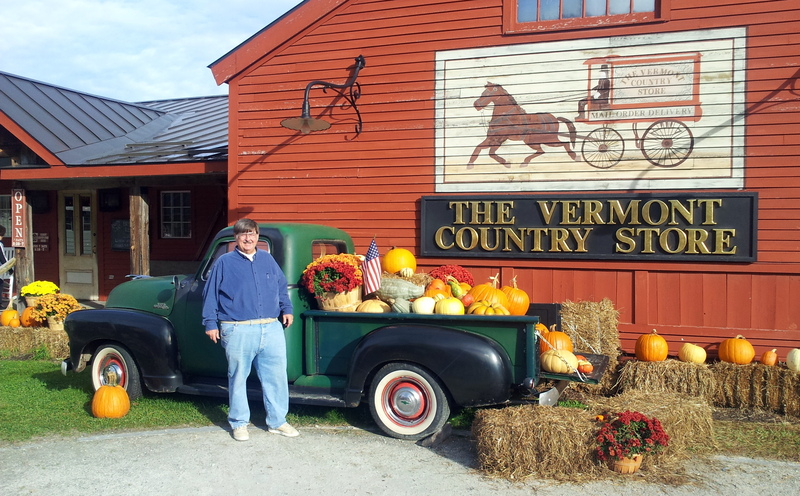 Turns out, The Vermont Country Store is a great place to visit. 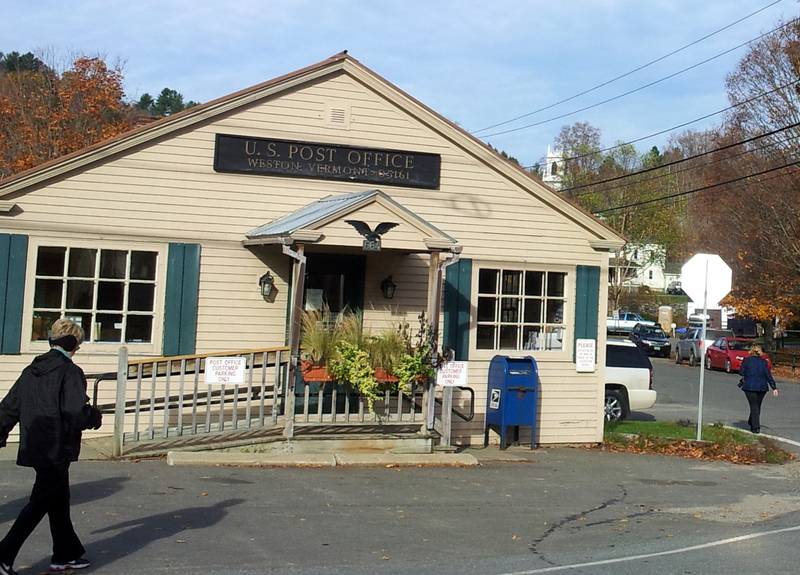 Loved this old post office on the corner. It reminded me of when I lived in Brule, Nebraska. However, I don’t remember the street being paved in Brule. This park was so inviting. 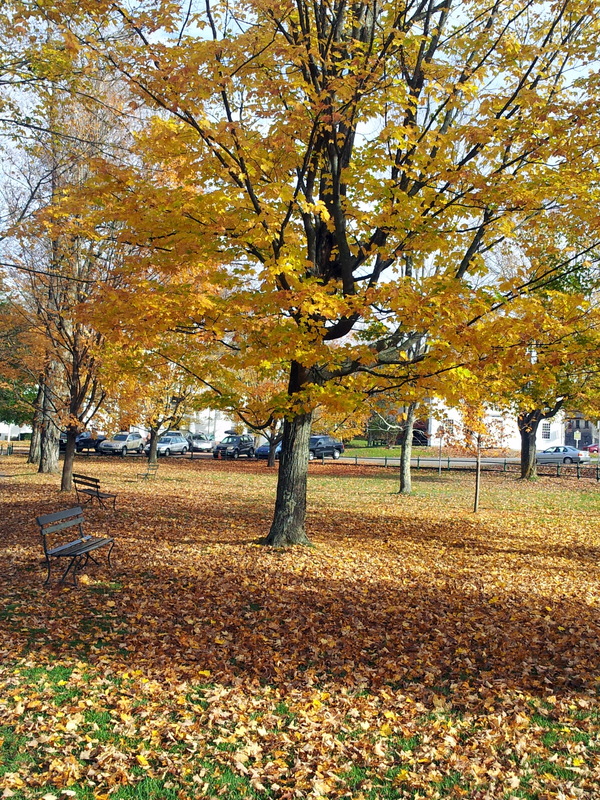 You can’t enjoy a sunny fall afternoon any more than slushing through the leaves to a quiet park bench underneath a gold tree. Gazeboes are among my favorite things. We saw many different kinds throughout our tour. I just got back from Savannah, Georgia and there was one just across from the house where we stayed. I watched people posing for pictures throughout the week. It must have been prom, because everyone was dressed to the teeth. It looked like weddings were happening with limos stopping for the photo shoots, then loading up and heading for who knows where. Evidently gazeboes are great for photo shoots. The one pictured is in Vermont. And they found the stone rolled away from the sepluchre. And they entered in, and found not the body of the Lord Jesus. And it came to pass, as they were much perplexed thereabout, behold, two men stood by them in shining garments: And as they were afraid, and bowed down their faces to the earth, they said unto… them, Why seek ye the living among the dead? Saying the Son of man must be delivered into the hands of sinful men, and be crucified, and the third day rise again.